Having a glass of wine in the evening can be a great way to unwind after a long day, but most of the time you won’t be polishing off a whole bottle of wine in one sitting. Or you may be running a restaurant where customers order by the glass and have various bottles of wine open at a time. How do you keep the remaining wine from starting to turn to vinegar the next day? Knowing how to reseal and store open wine bottles is not only an essential part of running a proper wine service at your restaurant but can also be a great tip to use at home. Read on to learn 5 ways to reseal a wine bottle and store it so that you can keep your wine fresh for as long as possible. Why Should You Recork Wine? Wine needs to be resealed after opening because it will begin to oxidize once coming into contact with oxygen. The air opens up the tannins in the wine and deteriorates the flavor. This is caused by bacteria in the air called acetobacter. Although rather harmless to ingest, it turns wine into acetic acid which produces that distinct vinegar taste. Unfortunately, no matter what you do, wine will begin to turn once exposed to air. However, you can slow the process significantly by minimizing the amount of oxygen the wine comes in contact with. It is highly recommended to recork a bottle of wine as soon as you’re done pouring from it. Here are 5 different ways that you can plug up the opening of your wine bottle to keep that air out as much as possible. If you still have the original cork on hand, be sure to inspect it for damages before inserting it into the bottle. When opening a bottle of wine, the spindle of the opener should not go all the way through the cork, or else an airway can form in the cork, allowing oxygen into the bottle. Place the bottle on a sturdy surface. Angle the cork so one end is in the bottle and the other is resting on the lip. Simultaneously twist and press down on the cork. Push the cork in about halfway into the bottle. The cork will expand when you remove it from the opening of a bottle, making it tricky to recork the wine. If the cork is struggling to get back into the opening or is slightly damaged, wax paper can help reduce the friction and prevent cork pieces from falling in the bottle. Cut a piece of wax paper that is approximately the same length as the cork so it goes all the way around without overlapping. Wrap the paper around one end of the cork. Place the wrapped end of the cork directly on the opening of the bottle. Gently push down with a rocking motion, but do not twist the cork or the paper will wrinkle. 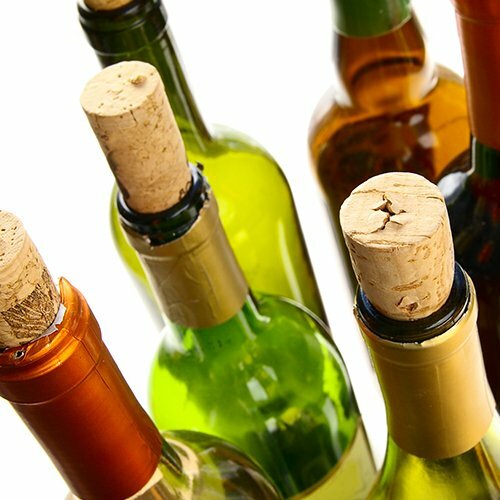 If your cork is completely unusable, you may need a temporary fix before you can find a replacement. You can momentarily improvise with a piece of paper towel, some plastic wrap, and tape. Fold a sheet of paper towel to about 2 inches wide. Tightly roll from the shorter ends until the paper is fully rolled and resembles a cork. Check the width of the roll with the opening of the bottle to make sure it will fit. The roll should be slightly wider than the opening. Trim if needed. Tape the ends to secure the shape of the roll. Wrap the entire roll in a piece of plastic wrap. Tape the plastic wrap closed. Simultaneously twist and press down on the roll. Push the roll in about halfway into the bottle. Replace the roll with a new cork or rubber cork before storing the bottle. 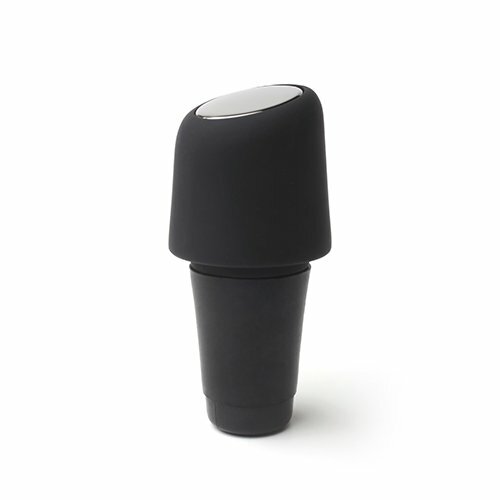 A rubber stopper is a great reusable option for resealing a wine bottle. They are made to fit the opening of a wine bottle, and they grip the inside of the bottle to keep air from getting in, slowing down the oxidation process. Rubber stoppers also require minimal effort, since you only need to press it down into the bottle opening. They tend to be a popular option, as they are available in a variety of colors and are affordable, so you can purchase some extra stoppers to keep on hand. Another way to seal your bottle of wine and slow down the oxidation process is by using a reusable vacuum pump. This handy tool also uses rubber stoppers; however, the stoppers are unique in that they allow for air to be vacuumed out of the bottle with the manual pump. The process requires minimal effort and may help extend the storage time of your bottle of wine even further. After you have recorked your wine bottle, you’ll want to store it in the following way to prevent oxidation as much as possible. Keep the bottle out of the light. Refrigerate the bottle after opening regardless of the color of the wine. Chilling the wine slows the oxygen molecules. Store the bottle upright to minimize the surface area of wine exposed to oxygen. Avoid dramatic changes in temperature. If you are serving a red wine, set it out half an hour before serving so it can gradually increase in temperature. If you have less than half of the bottle remaining, transfer the wine to a smaller bottle before refrigerating. With less room for oxygen in a bottle, the oxidation process can take much longer. In these conditions, open wine can usually last for approximately 3-5 days. 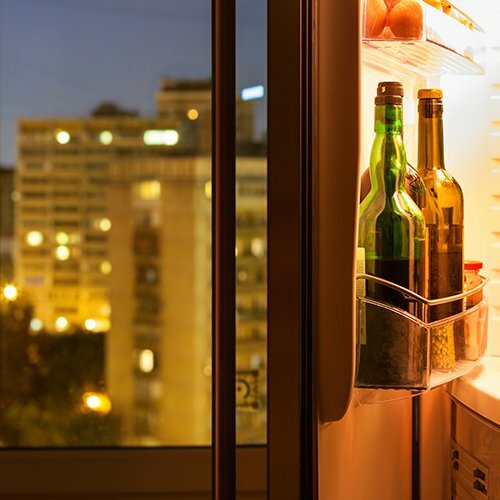 It is important to note that sparkling wines and champagnes will behave differently and may need a specific type of cork to remain fresh or may actually need to be stored open in the refrigerator. Even if you cork and store your wine in ideal conditions, some wines have a tendency to oxidizer faster than others. Here are some that are prone to deteriorating more quickly. The longevity of a wine all begins with the proper wine storage before the bottle is even opened. Although there isn’t much that can prevent oxidation entirely, there are ways to slow it down so you can enjoy another glass of delicious wine for at least a few more days.